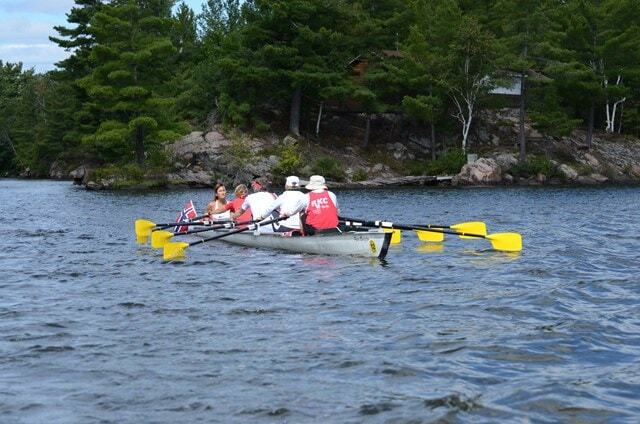 Going The Distance: Why Train for a Rowing Tour? The concept of training seems obvious, especially for rowers who need to master technique as well as build fitness in order to enjoy and grow in our sport. So why do some guests, who have signed up for a trip, not do any rowing tour preparation and training? Why would people think that they can go from rowing perhaps 6 – 10 km two or three times a week at their home club, fly to Italy or wherever, and not be tired when they need to row 20+ km every day for six days? Some guests do prepare, knowing that more preparation equals more enjoyment. 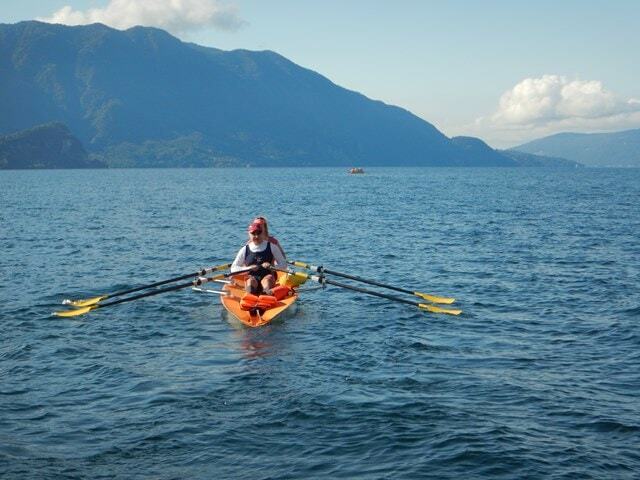 Let’s explore why you need to go the distance and train for a rowing trip. At the stage when Rowing The World was still just an idea, I had the chance to be a replacement rower on the 2012 FISA World Rowing Tour held in Canada. It was last minute, and I somewhat panicked when I reread the tour description and realized that we would be rowing 30 to 35 km every day! I did not know what it would be like to row that far even once, let alone repeatedly. It seemed that I would not only risk life or at least injury, but would also embarrass myself in front of the 59 other rowers from around the world. I needed to prepare! Luckily my doubles partner was happy to row more and had a flexible schedule, so in the few weeks before the trip we significantly increased our distances and frequency of rows. It was fantastic. We got to parts of the river that we had never rowed before and we just enjoyed all the extra time in the boat in the summer sunshine. Every once in a while in subsequent years we have repeated those long rows, and enjoy it every single time. The rowing tour preparation paid off. When I got to northern Ontario, I found that I could manage the daily distances. It did help that the stroke rates were typically lower than I had been training at, and we took frequent breaks. I learned that one of the bigger challenges is being able to sit on a hard seat that long – that was the summer that I discovered seat pads. But I was prepared and really was able to enjoy the full experience. What’s the problem? Why don’t people train and prepare? Not really reading the trip description and materials plus not thinking about the implications? An over-confidence bias, as suggested to me by one coach? Thinking that training to race suffices? Okay, you are convinced – how to start your rowing tour preparation? Given that you are a master rower at age 27, the question is really what is a masters rowing training program for a tour? Even if you compete and train to race, preparing for a tour is more like preparing for a running marathon instead of a sprint event. As Marlene Royle of Roylerow Performance Training Programs and Faster Masters Rowing tells me, rowing tour preparation needs to include building stamina so you can recover quicker and can row day after day, as well as enhancing basic fitness for injury prevention. There are physical demands associated with long duration rowing, and you need to develop fatigue resistance. That is the “why”. In future blog posts we will discuss the “how”. 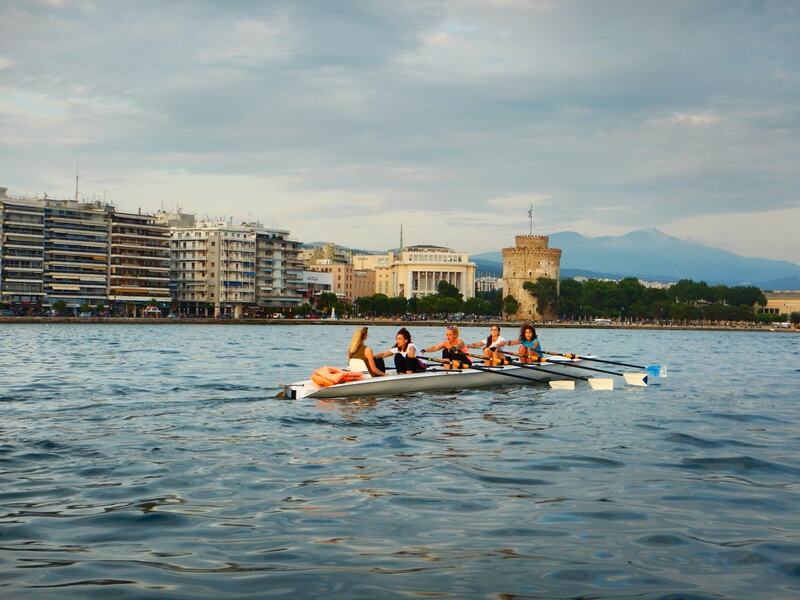 A tour is great overall training whether you are a recreational or competitive rower, so let’s get training for rowing travel!